Loved every moment and I learned so much. 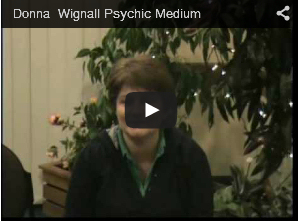 Donna is a great teacher – so gifted and her personality and vibrance are a bonus! Thank you! Donna’s delivery of the course content was decisive with loads of easy to understand information. Her humour made the day thoroughly enjoyable. I have learn skills beyond the level I started with, and I am leaving feeling confident to read a spread better than when I arrived. I highly recommend attending a workshop with Donna. Fast, furious & full on – covers many different aspects and angles to help build bigger pictures to deliver more information & get a better understanding. Great day! Lots of information that i haven’t heard or read before. Great practical ideas on how to use the Tarot straight away with extra info for later once we are feeling more confident. I really enjoyed today – Tarot 2 workshop. Very informative and added more depth with the astrology and some numerology. I would recommend it! Very enlightening – you open minds and make things very clear. Thank you very much! Wish to thank you for a wonderful show. Although I didn’t get anyone through I really enjoyed seeing the validation and joy on others faces. You do a fantastic job. I am a watcher of John Edward – you are so much more entertaining. I had a fantastic time – you were amazing and the reaction in the peoples faces that had connection with loved ones was so lovely – especially that lady that had lost her husband the week before. At one point I thought you had my Dad, shame it wasn’t him, but like you say, I feel he’s with me anyway.